High factor fragrance free sunscreen perfect for sensitive skin. Effective, broad-spectrum UVA & UVB protection in a water resistant formula. Suitable for sensitive skin and those prone to prickly heat. Offers 96% protection from UVB rays. Ideal natural sun care for fair complexions. This replaces the Green People SPF25 No Scent sunscreen. Vegetarian society approved but contains beeswax so not Vegan. 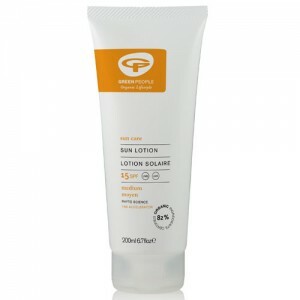 Water resistant sun lotion without essential oils, offers broad spectrum UVA and UVB sun protection, suitable for fair complexions and sensitive skin. Formulated to support the skin's immune system and increase protection against cell damage. Liberally apply lotion half an hour before exposure to the sun. Re-apply frequently. Always re-apply after swimming or excessive perspiration. 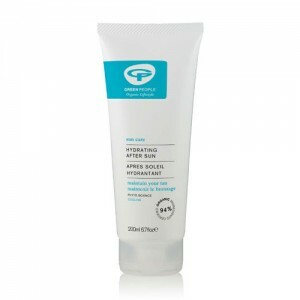 After sun pampering treat yourself with cooling, moisture binding After Sun Lotion.